Weather and disaster management officials are asking residents to stay vigilant at the developing storm seemingly aiming for the Eastern Caribbean. 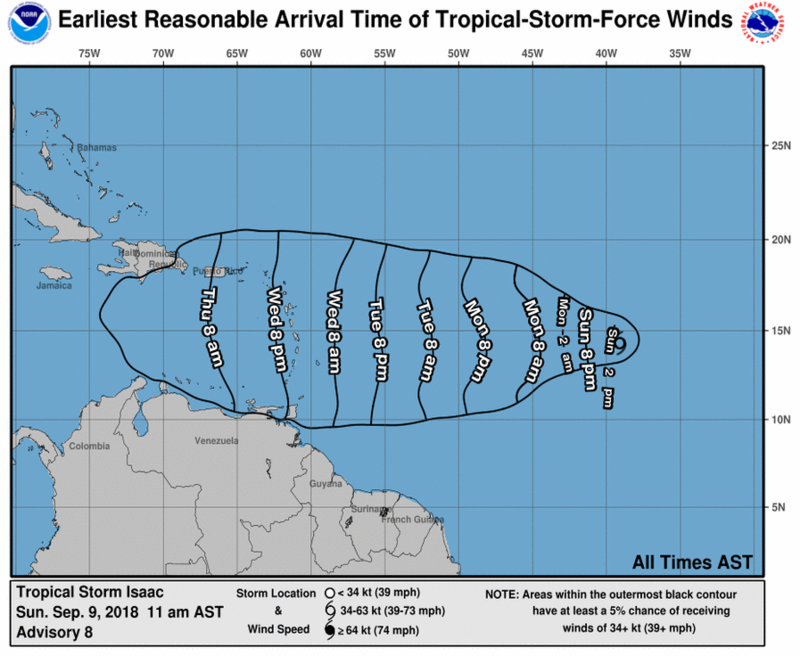 At 11AM on Sunday, Tropical Storm Isaac is centered over the eastern tropical Atlantic Ocean about 1470 miles (2370 km) east of the Windward Islands. Isaac is moving toward the west near 9 mph (15 km/h) and is expected to accelerate during the next 36 hours. 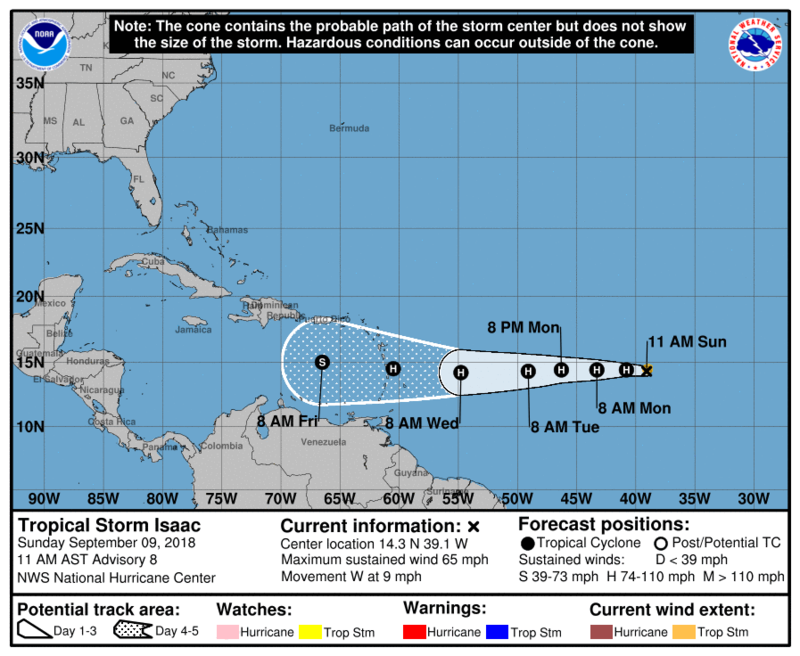 A westward motion is forecast to continue through the end of the week, with Isaac expected to move across the Lesser Antilles and into the eastern Caribbean Sea on Thursday. Maximum sustained winds have increased to near 65 mph (100 km/h) with higher gusts. Additional strengthening is forecast, and Isaac is expected to become a hurricane later today or tonight. Weakening is anticipated to begin by the middle of the week.